For now, it appears the iPod nano and iPod shuffle are still available to purchase at many Apple Stores and other resellers, but that likely won't be the case for too much longer. In the United States, the latest iPod nano started at $149 with 16GB of storage, while the iPod shuffle cost $49 with 2GB of storage. 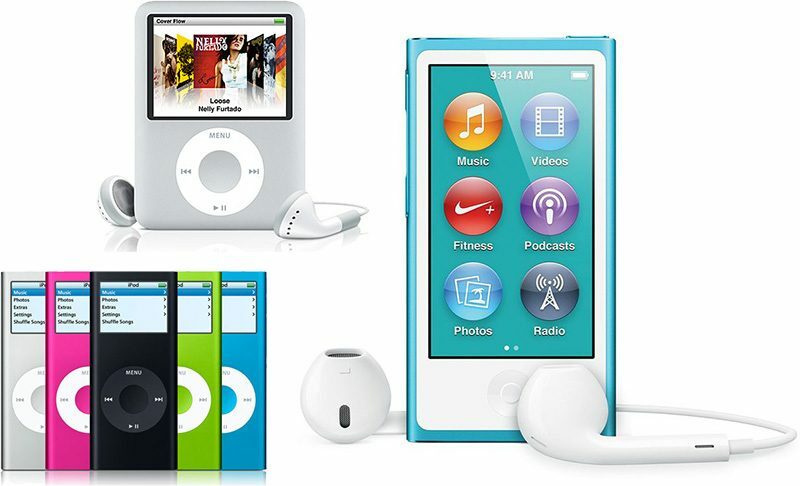 Beyond new colors and storage capacities, Apple had last updated the iPod nano in October 2012 and the iPod shuffle in September 2010. Apple last updated the iPod touch in July 2015 with an A8 chip and an 8-megapixel rear camera. Apple introduced the iPod shuffle in January 2005, followed by the iPod nano in September 2005. 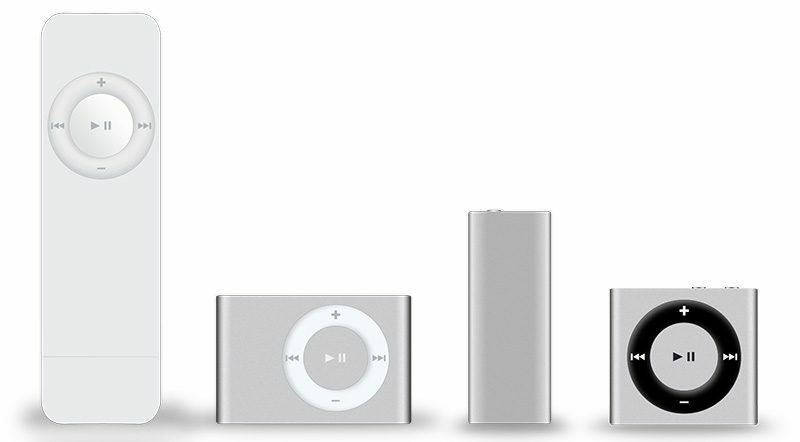 In total, there were seven generations of the iPod nano, and four generations of the iPod shuffle. iPod sales had been declining for several years. Apple reported 2.6 million iPods sold in the fourth quarter of 2014. Since then, Apple has grouped iPod sales under its "Other Products" category in earnings results. iPod sales peaked at 54.8 million in 2008, compared to 14.3 million in 2014. The success of the iPod, first introduced in 2001 by the late Steve Jobs, helped Apple reestablish itself as one of the world's most successful technology companies at the turn of the millenium. But, after the iPhone launched in 2007, the iPod nano and iPod shuffle became increasingly niche products. Update: "Today, we are simplifying our iPod lineup with two models of iPod touch, now with double the capacity starting at just $199, and we are discontinuing the iPod shuffle and iPod nano," an Apple spokesperson told Business Insider. Rest in peace iPod. Played a huge role in the early 2000's Apple, and was the first sign of Apple not being a computer company, but a consumer electronics one. I wasn't an Apple user back when the Nano launched, but I remember it was the first Apple product that seriously impressed me and made me want to get Apple Stuff. RIP Nano! Edit: Remember when analysts were all worried that the iPhone would cannibalize iPod sales? And Steve Jobs said "If you don't cannibalize yourself, someone else will." Hypothesis: It was easier just to discontinue them than to figure out which shade of "Space Gray" to use in a refresh. This is a historic occasion. I hope the iPod Touch stays around and gets refreshed. End of an era if this is true. Having just upgraded my 60GB iPod Video to a 256GB SD I really wish Apple would release a new iPod with click wheel. Super thin, Flash Storage, Small Screen, Click Wheel, Bluetooth and Lightning Connector. Make it see through and call it the iPod Glass. I still really like my 7th generation nano. It is perfect for exercise or using as a player for my vehicle. I see why they did it, but it's still sad to see it gone. The times are a changing... though 2+ years since incompatibility with Music, I'm surprised they didn't do it sooner.